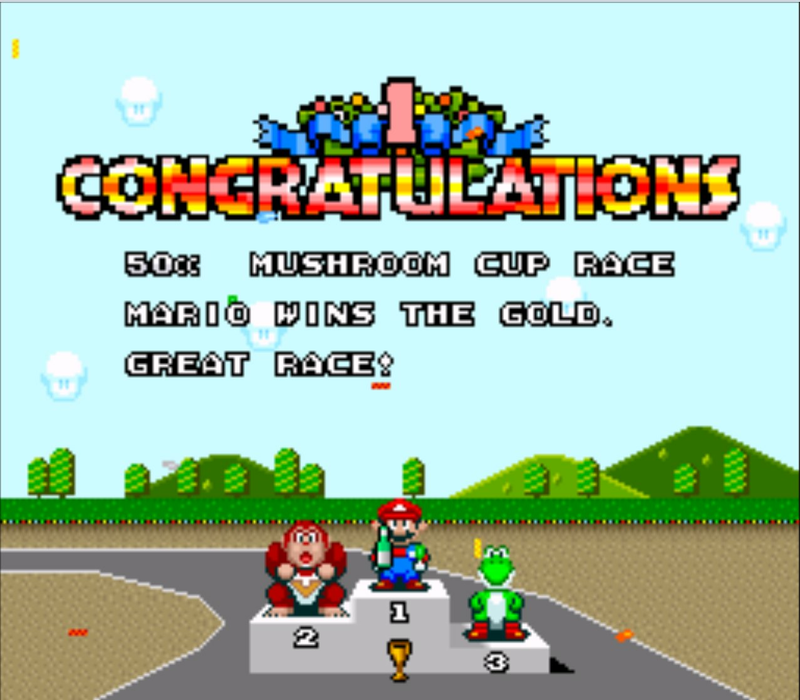 Super Mario Kart is the first installment in the Mario Kart series. It features 2D sprites, simplistic 3D landscapes, split-screen multiplayer, and lots of fun. 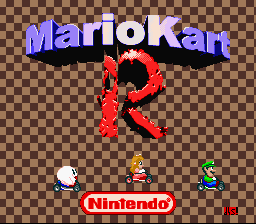 This game if you don't already know, is for the Super Nintendo Entertainment System. Now you can add videos, screenshots, or other images (cover scans, disc scans, etc.) 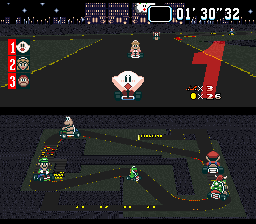 for Super Mario Kart (USA) [Hack by d4s v1.1] (~Mario Kart R) to Emuparadise. Do it now!